If you’re working as an English teacher in Brazil, you’ll quickly notice the Brazilian love for long holidays. Whenever you get the chance to have a 3 or 4-day break in Brazil, don’t miss the chance to discover the natural wonders of the country. Due to its continental dimension, I’ve decided to pick one holiday destination for each of the five regions. Located between Brazil and Argentina, the Iguazu Falls are an awesome sight as tones of water throw themselves over cliffs surrounded by the jungle. 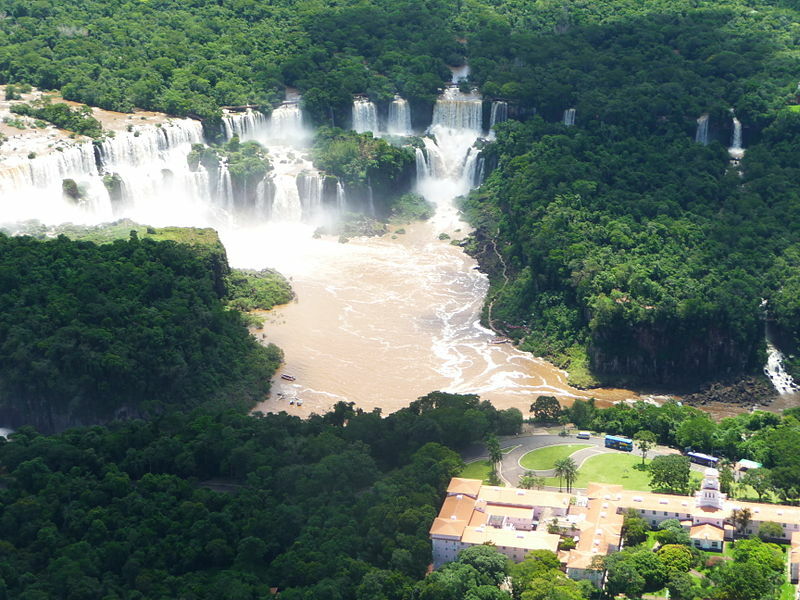 If you have the chance, spend a day on the Brazilian side and another on the Argentinean side. On the Brazilian side, visit the Brazilian Iguazu National Park with subtropical rainforest and over 2,000 species of vascular plants and home to the typical wildlife of the region: howler monkeys, jaguars, giant anteaters and caymans. The falls are visited by tourists all year round, so if you happen to be teaching in the south and would like to experience the wonders of Iugazu falls and nature all around, stop by!